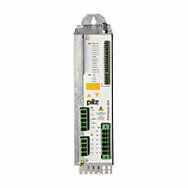 Use the modern servo amplifiers from Pilz as drive controllers for operating the widest range of motor technologies. 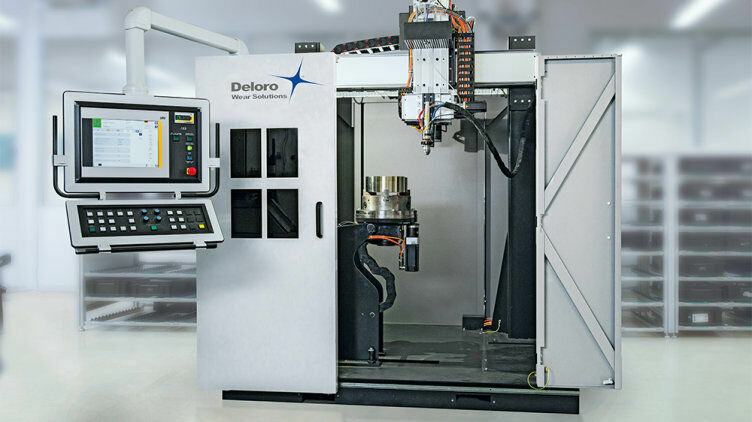 You can use it to operate all common types of motor, from servo motors to asynchronous and linear motors. 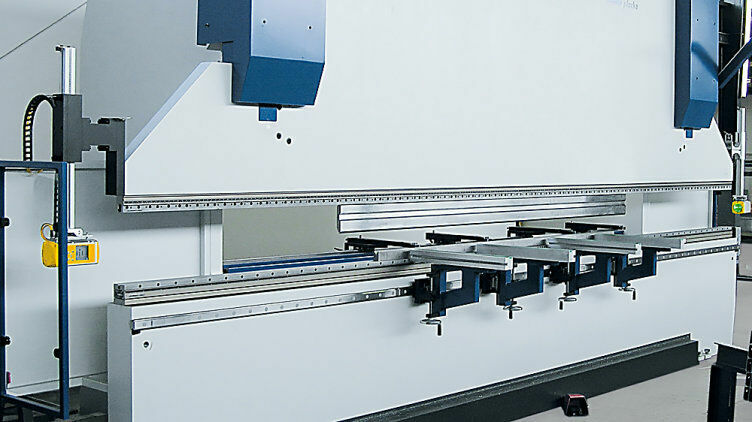 The same applies to rotary direct drives, servo linear actuators and applications with special motors. The purely digital motor feedback protocol HIPERFACE DSL® is now available for the servo amplifier PMCprotego D. It uses a minimum of connection cables between the frequency converter and motor feedback system, so supporting a single-cable technique within the drive technology. Not only does this save costs, it also requires less space and means less work during installation. As an open interface, HIPERFACE DSL® combines the benefits of a digital real-time interface. The new energy stores PMCenergy SD save energy, used in conjunction with the servo amplifiers PMCprotego D and PMCtendo DD5! 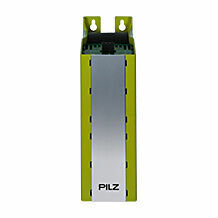 The available brake energy is absorbed and buffered – without mains feedback, as the energy store has no direct contact with the input-side power supply. The energy store PMCenergy SD independently calculates the level of the working voltage in the intermediate circuit. PMCenergy SD absorbs any energy that exceeds the voltage in the intermediate circuit. If the level falls short, PMCenergy SD pumps energy back. That is the point at which energy is saved. The servo amplifiers' intermediate circuits can simply be connected together, so that only one energy store is needed per axis group. 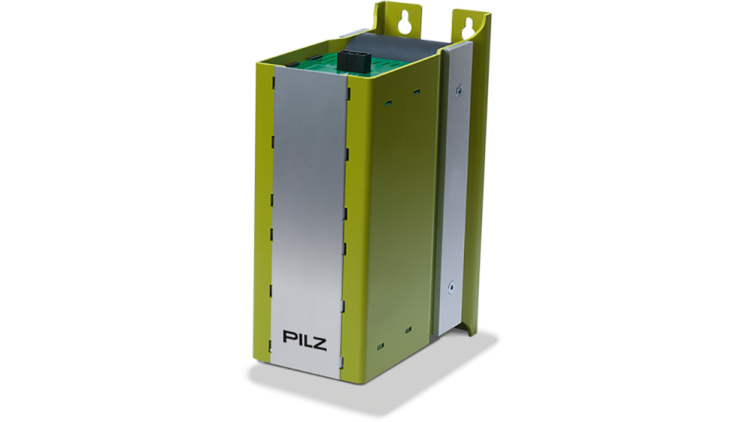 The result is a very economical solution, particularly on larger-scale plant and machinery. Additional modules are available for the energy store PMCenergy SD, which can simply increase the storage capacity – depending on the requirement. Without mains feedback: the energy store absorbs brake energy; this is not fed back into the mains. Even the mains feedback from the servo amplifier is minimised. 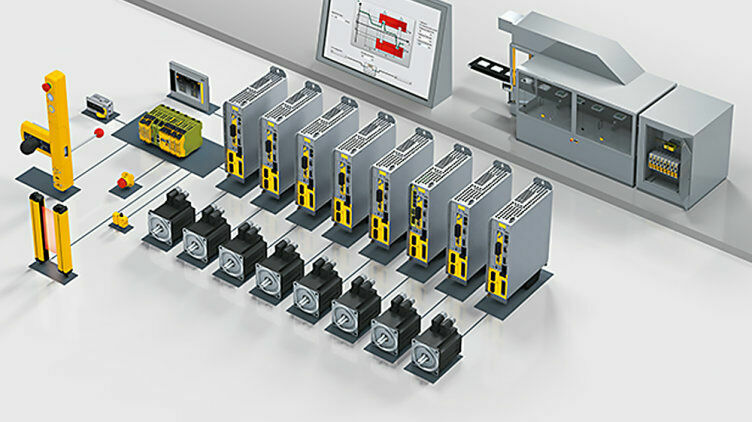 Discover this new option for processing brake energy and benefit from more energy-efficient drive technology! Wide range of drive and status enquiry options makes it easier to incorporate into the machine concept. The available interfaces create openness to allow communication with many different controllers. Furthermore, the functions of the servo amplifier mean that it is compatible with almost every motor and feedback system, and thereby provide excellent control properties. 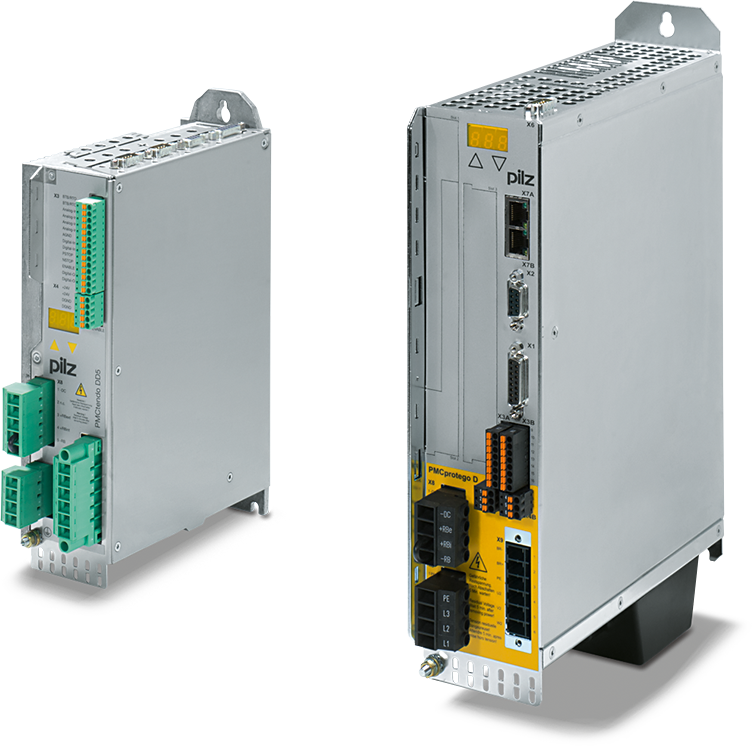 PMCtendo DD servo amplifiers are available in the standard series with large performance range and as a compact series, both with the "safe torque off" function. 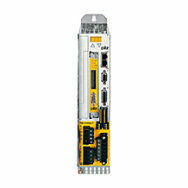 Servo amplifiers PMCprotego D are used when the demand is for safety. The STO function is already on board. Other safety functions can be added easily. Safe stop, monitor and brake functions can be implemented directly within the drive – Safe Motion. 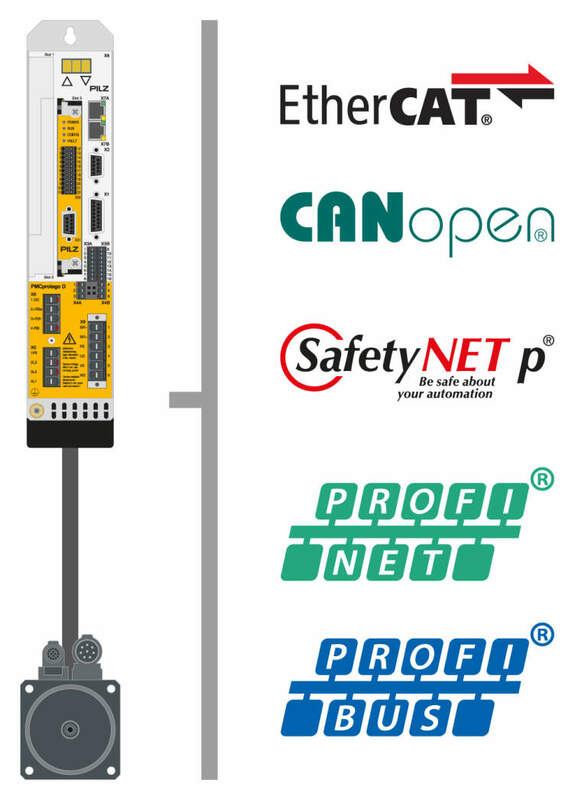 Here you find the complete solution consisting of safety card PMCprotego S and servo amplifier PMCprotego D.